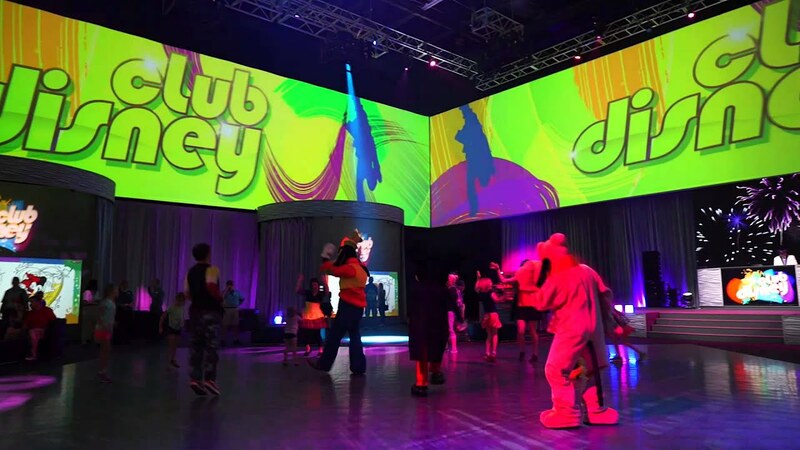 Oct 12, 2015 in "Club Disney"
Disney has today announced that a new character dance party will be opening with the new Sunset Showcase building at Disney's Hollywood Studios. Located between Rock n Roller Coaster and Tower of Terror, the new Sunset Showcase is a flexible theatre space that has been designed to host a variety of shows. It is widely expected that the park's existing multi-purpose theater space, the Premier Theatre, will be removed as part of the park's redevelopment. Club Disney gives guests a chance to join Mickey and the gang and take to the dance floor in this electric club environment, where a DJ Club Host spins the perfect playlist mix of your favorite Radio Disney Top 40 songs as the floor and walls come alive with vivid images from classic Disney animation. Club Disney will also feature a cool seating area and snack station, where you can refuel and recharge – both yourself and your electronic devices.